Your pets are part of your family, and taking care of them to the best of your ability is no doubt a lifelong goal of yours … the length of your life and theirs, that is! One of the best ways to ensure that your furry friends always receive the care they need, when they need it, is to take them in for regular wellness exams. At Embassy Lakes Animal Hospital, our goal is to minimize all possible risks for your pet. That includes the very real risk of getting lost or separated from you. We want to keep families together, and thanks to microchipping technology, we can make sure your pet is permanently linked to your name and contact information. Microchipping is a quick, painless procedure that lasts a lifetime, and we encourage all new pet owners to take advantage of this service. Learn more about why and how we offer microchipping for cats and dogs in Cooper City. When a pet goes missing, ID tags are never a sure bet. Collars can fall or tear off, leaving your pet without an ID tag, and would-be thieves can simply remove identifying accessories. Missing pet signs and online posts are another important way to search for missing pets, but again, these methods can only reach so many eyes. What happens if your pet goes missing on vacation, or gets transported to a place where no one knows to look? No pet owner wants to imagine this scenario, but nearly a third of all pets will get lost at some point, and your pets deserve a disaster prevention plan that will last forever. Fortunately, microchipping is far more accurate and permanent than any other identification method for pets. At Embassy Lakes Animal Hospital, we rely on modern medical technology to prevent illnesses and treat our patients, so it's no surprise that we rely on this innovative computer technology to spare families from unnecessary pain. 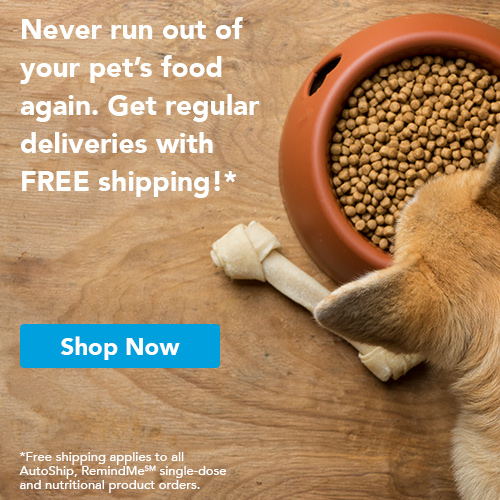 According to the American Humane Association, microchips increase reunion chances by 238 percent for lost dogs – and by more than 2000 percent for lost cats. Now that you know the benefits of microchipping, you might have some questions about the procedure itself. Fortunately, it's one of the simplest services we provide, and it only takes a few seconds from start to finish. Because microchips are so tiny, implantation is actually just an injection with a needle. 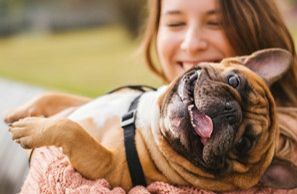 Before microchipping, your Cooper City vet will prepare the injection site with a local anesthetic for pain, then inject the microchip beneath your pet's skin, usually between the shoulder blades. 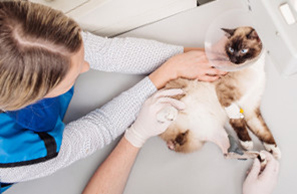 If you request microchipping during your pet's spay or neuter procedure, your veterinarian will take care of everything while your pet is under. After the microchip is in place, your pet will be linked to its unique identification number. You can update your registry information online if you move or change phone numbers, but the number will always belong to your pet. If the worst happens and your pet is separated from you, any veterinarian can scan their shoulder blades to retrieve the microchip information. This process makes it possible to reunite pets with owners, no matter how far away they travel or what accessories they're wearing. Contact Our Vet in Cooper City Today! 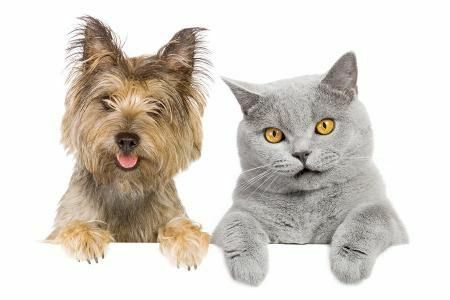 Schedule your pet's microchipping with a Cooper City veterinarian today. Call 954-280-0500 to make an appointment.